Since 2003 Government has invested over £17million to repair, remediate, restore, and re-establish the historic Crumlin Road Gaol as a significant public and tourism site for Belfast. The aim is for the Gaol to be a driver to encourage economic, cultural and community benefits in North Belfast and beyond. 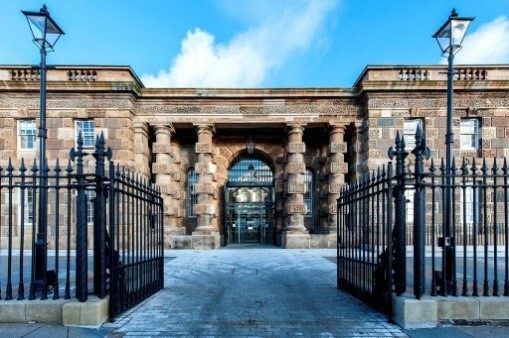 The former Gatehouse, Governor’s Corridor and C Wing were restored and transformed into now international known Gaol Visitor Attraction and Conference Centre as the first phase of breathing new life into this extensive site. Other works have been completed like the refurbishment of landmark ventilation shaft, the external restoration of the former Wardens’ Cottages and the protection of vacant buildings to encourage external investment to develop them as venues for public events, tourism and other sustainable uses. Today the Gaol is a multi-use venue hosting conferences, concerts, exhibitions, events and daily tours. The site is also used as a film set and for hosting competitions and civic events. Since the Visitor Attraction & Conference Centre, operated by Belfast Tours Ltd, opened to the public on 19 November 2012, over 795,000 people have visited the site for a tour or to attend an event. Cuff's Bar & Grill, a fully licensed restaurant opened in 2016. The Gaol Visitor Attraction and Conference Centre was awarded the prestigious ***** visitor attraction rating in January 2017 as an attraction operating to an "outstanding" standard. 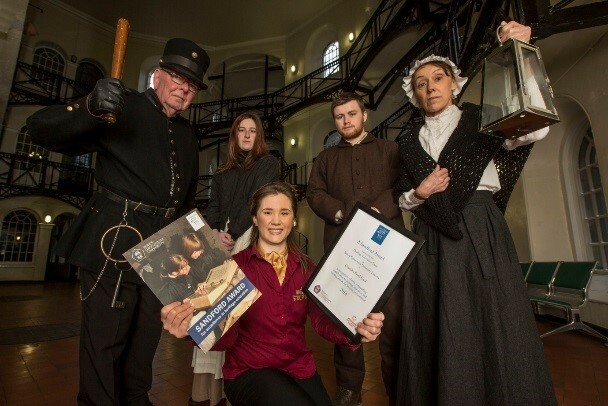 Their historic education programme "A Day in the life of a Victorian Child Prisoner" received the Sandford Award for excellence in provision of heritage education. Belfast Distillery Company Ltd. anticipate recommencing work in the autumn of 2018 to create a Boutique Distillery and Whiskey Visitor Attraction in A Wing of the Gaol. This attraction will present the history of the once famous “McConnell” Belfast-based whiskey brand and the whiskey-making process. The company is working to be open to the public by early 2020 anticipates attracting over 150,000 visitors a year. 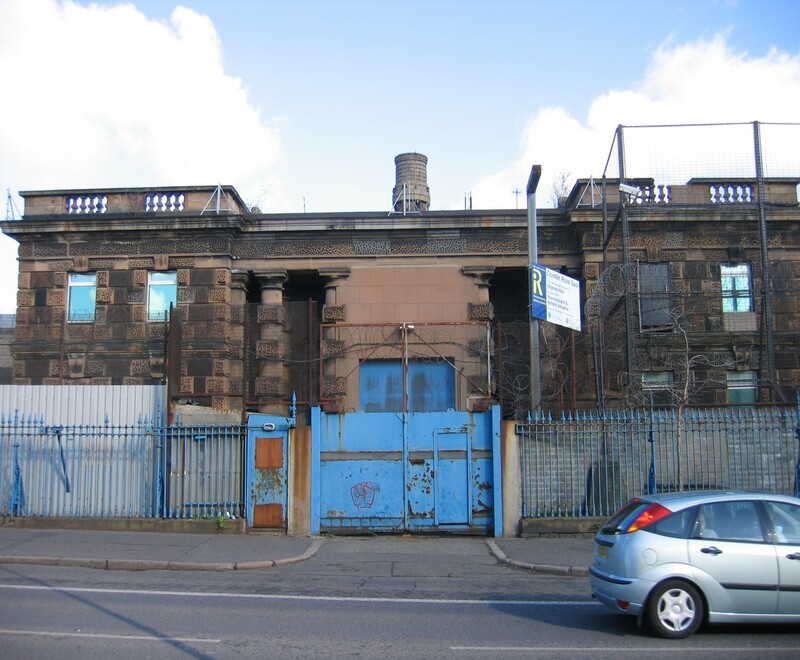 DfI will, in October 2018, be marketing the opportunity to develop D Wing, the Cottages and the Hospital / Dental Unit at the Crumlin Road Gaol site. The Department will be seeking development proposals for these buildings to the further enhance the site and contribute to employment and economic benefits as well as encouraging the development of better connections with the city centre and physical improvement in this area of north Belfast. St Lucia is a former military base in Omagh gifted to the Executive under the Hillsborough Agreement 2010. The walled Historic Core (consisting of a Parade Ground and administration and service buildings) currently remains in the ownership of the Ministry of Defence. Work is on-going to identify the best approach for bringing St. Lucia back into active use. If you have any queries on either Crumlin Road Gaol or the St Lucia site please contact the Crumlin Road Gaol Regeneration Team.